Voodoo Medic Dr. Jeremy Holder discharged from the military in 2008 before becoming a civilian paramedic. 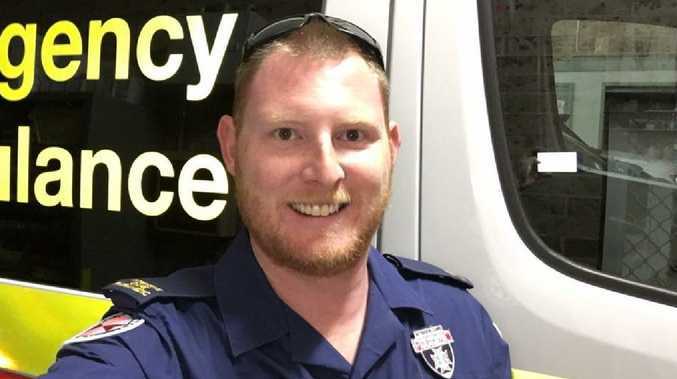 AUSTRALIA'S most decorated medic, who treated hundreds of civilians and soldiers in Afghanistan played a part in saving the life of NSW Police Officer Jonathan Wright. Corporal Jeremy Holder spent six years in the military as a Special Operations medic and was awarded a Medal for Gallantry during his time in the Middle East. 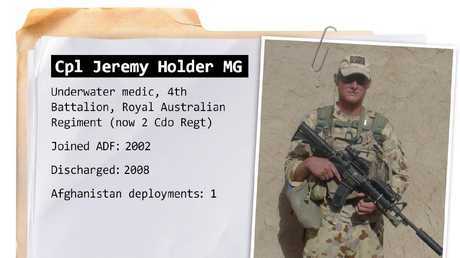 After discharging in 2008, Holder began a civilian career as a paramedic and founded TacMed Australia, which provides specialist medical equipment and first aid items such as tourniquets and military-style trauma dressings to emergency services. A TacMed tourniquet was used on Senior Constable Wright when a texting driver ploughed into him during a random breath testing station at Leumeah in February. When he woke up at Liverpool Hospital, Constable Wright's foot had been amputated, but he credits the tourniquet for saving his life. 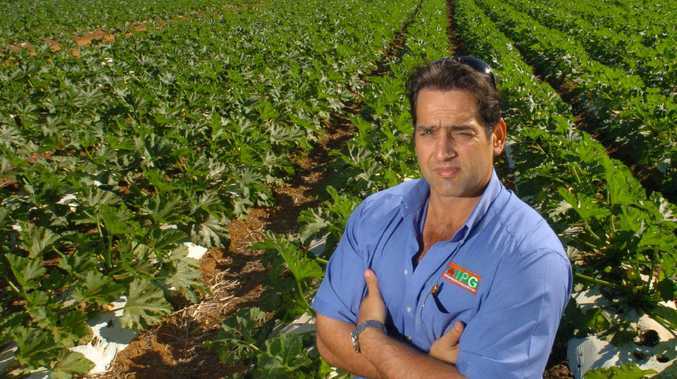 "Without that my kids would have no father," he told The Daily Telegraph last month. "The amount of blood that was coming out of me … we couldn't control it". "I woke up with the foot gone. An (external skeleton) was holding the femur and the tibia together with skin sewn over the top," he said. Constable Wright returned to work just three months after the crash and recently reached out to Holder, who believes the officer is lucky to be alive. 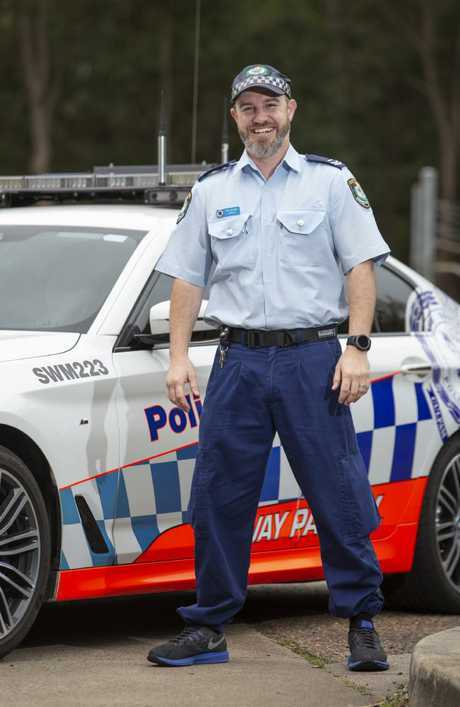 Senior Constable Jonathan Wright lost his foot when he and his partner were hit by a car in Leumeah in February. Picture: Justin Lloyd. "He got in contact with us," Holder said. "He was saved by one of our tourniquets. "If I can have one police officer be able to go home to their family in some way because of our training experiences and equipment, you don't get any better than that". Holder wants public access to trauma kits to help treat mass casualty injuries in the event of domestic terrorism. 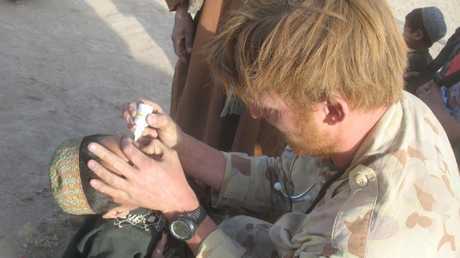 Voodoo Medic Dr. Jeremy Holder during his deployment to Afghanistan. "Major bleeding or massive haemorrhage is one of the preventable causes of death," he said. "Trauma dressing can save someone's life so it's our goal to have those kits readily available for the public and first responders."